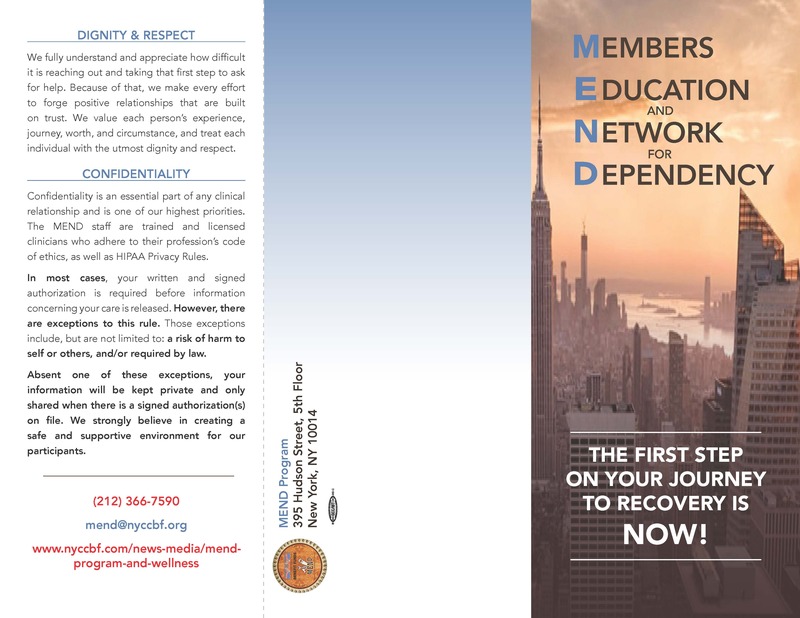 The MEND Program holds monthly Peer Support Group meetings for NYCDCC Welfare Fund participants/dependents who are in both long and short term recovery, and wish to share their experiences, sources of strength, inspirations, and hopes for the future with fellow group members in attendance. These meetings take place in the MEND Office on the 5th Floor of 395 Hudson Street. The next scheduled meeting is: Wednesday, April 24th, 4PM. 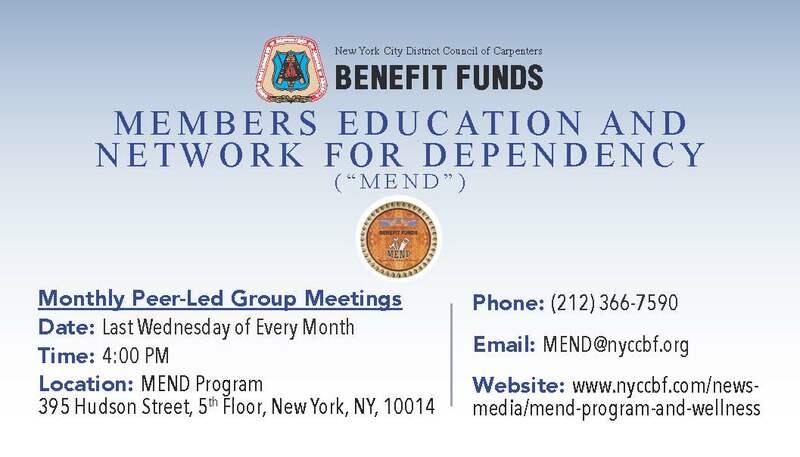 As a part of its focus on fostering a healthy work and life-balance for its members and their dependents, the New York City District Council of Carpenters Welfare Fund has launched the Members Education and Network for Dependency (“MEND”) Program, which gives participants and their dependents access to confidential treatment for substance abuse and other related problems. The program is located at 395 Hudson Street, New York, NY 10014, on the 5th floor. If you or one of your dependents is struggling with substance abuse, please contact the MEND Program for assistance from our accredited staff. 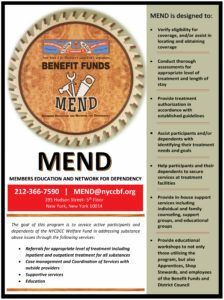 The MEND program can be reached by phone at (212) 366-7590 or by email at MEND@nyccbf.org. Please remember that there is no shame in asking for help, that MEND operates under strict confidentiality restrictions, and that we are here to help you and your family.